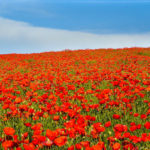 Papaver rhoeas is a variable, erect annual, up to 2.5 feet (75 cm) tall, forming a long-lived soil seed bank that can germinate when the soil is disturbed. 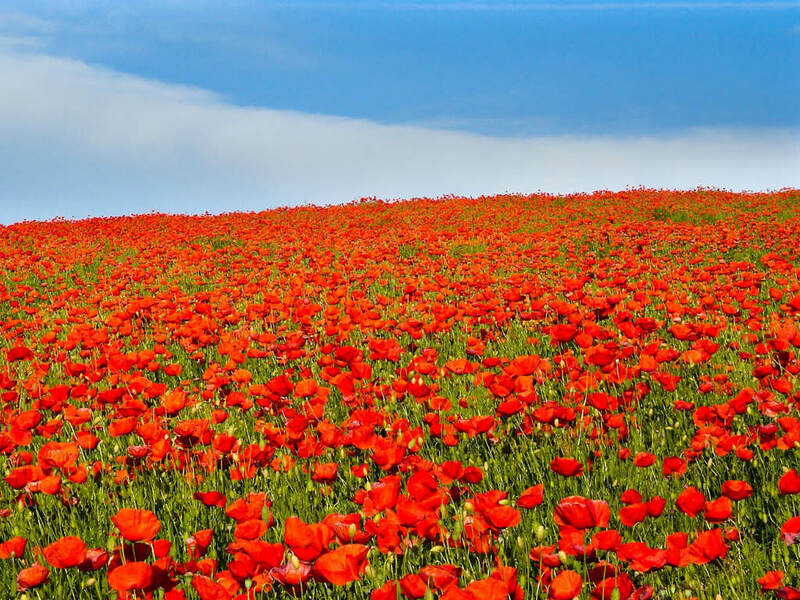 In the northern hemisphere it generally flowers in late spring, but if the weather is warm enough other flowers frequently appear at the beginning of autumn. 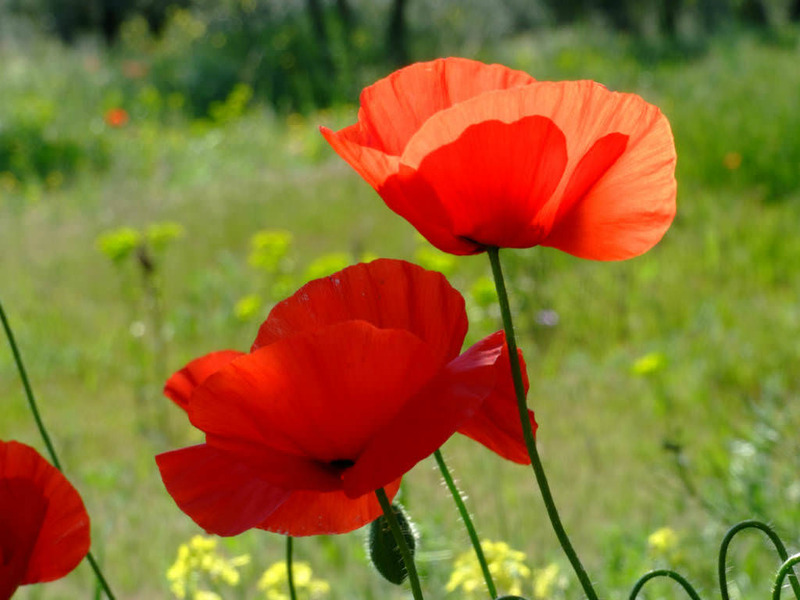 The flowers are large and showy, up to 4 inches (10 cm) across, with four petals that are vivid red, most commonly with a black spot at their base. The flower stem is usually covered with coarse hairs that are held at right angles to the surface. The capsules are hairless, obovoid in shape, less than twice as tall as they are wide, with a stigma at least as wide as the capsule. 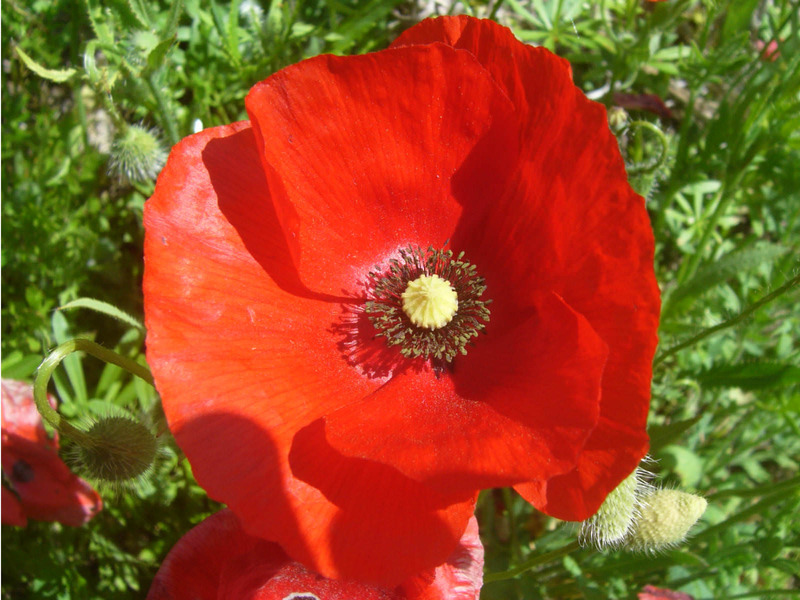 Plant Corn Poppy seeds directly on top of cultivated soil. In mild climates, plant the seeds in late fall or early spring when soil temperatures are between 60 and 70 ºF (15 and 21 ºC). 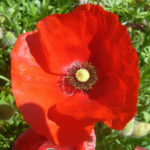 Corn Poppies thrive in full sunlight and rich, well-drained soil. If the soil is poor, incorporate 2 to 3 inches (5 to 7.5 cm) of compost or manure prior to planting. 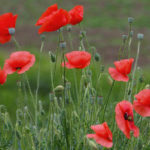 Water Corn Poppies when the top of the soil feels dry. Saturate the root zone thoroughly, as shallow waterings promote a shallow root system. For best results, water by hand with a hose or use a drip system to keep the foliage as dry as possible. If you use a sprinkler, water early in the day so the foliage has time to dry before evening. Soggy soil and damp foliage place the plant at risk of rot and fungal diseases. Spread 1 to 2 inches (2.5 to 5 cm) of mulch around the plants in the spring. An organic mulch such as shredded leaves or dry grass clippings keeps the roots cool, conserves moisture and prevents the growth of weeds. Apply a balanced liquid or granular fertilizer if newly emerging foliage has a yellowish appearance. Use the fertilizer in accordance with label recommendations. 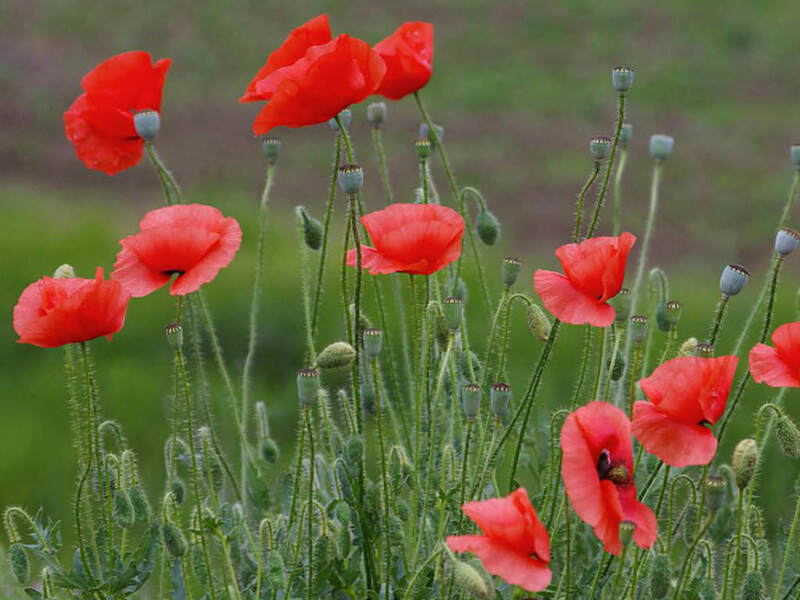 As a general rule, Poppies require no supplemental fertilization if granular fertilizer or compost are incorporated into the soil at planting time… – See more at: How to Grow and Care for Corn Poppy.